I love to read cookbooks. The menu and flavor possibilities seem endless. The glossy photos can elevate even the humble grilled cheese sandwich to a gourmet experience. In the evenings I often page through cookbooks carried home from the library. Occasionally I'll photocopy a recipe to save. Sometimes I want to photocopy the entire cookbook so I know I need to purchase the whole darn thing. You should see my shelves! These are not gf cookbooks but they offer plenty of gf friendly main courses and sides. I'll save my favorite gluten free cookbooks for a future post. Better than reading cookbooks is actually cooking from them. You'll notice I have written in the margins of these recipes. Don't hesitate to do so - that's what makes them extra special when you pass them on to the next generation of home cooks. This cookbook is full of handsome photos of both the food and the men who cooked it! My number one recipe from this cookbook is on page 14, Roasted Sweet Potato Wedges with Brown Sugar and Cinnamon. They include many more recipes here on their blog. This is a beautiful cookbook full of time tested favorites. We have made the Pot Roast with Mushroom Gravy two times in the past month. It calls for two cups of brewed coffee - what's not to love about that? 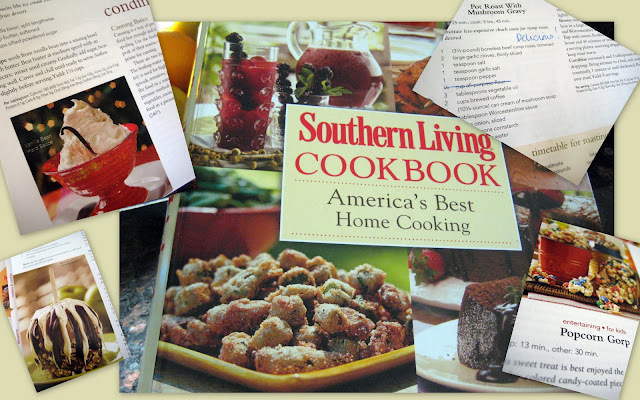 These recipes make me happy because as I read names like Jalapeno Cheese Grits, Ambrosia, Hummingbird Cake, and Apple Brandy Turkey and I see traditional recipes that have been subtly infused with modern flavors and techniques. Stop by the magazine's food site for free SL recipes. I include this under funny because the title made me chuckle. This is my life and most definitely my future. We already go through entire boxes of cereal in two days and quarts of milk in three days. I bought this book because I enjoy her straight forward style and tasty, family friendly recipes. 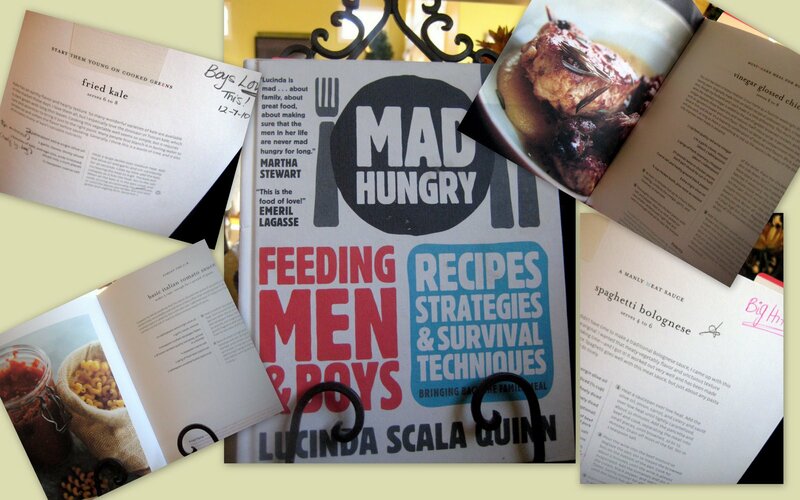 Lucinda also has her own cooking show, Mad Hungry, on Hallmark as well as a blog where you can find many of her recipes. 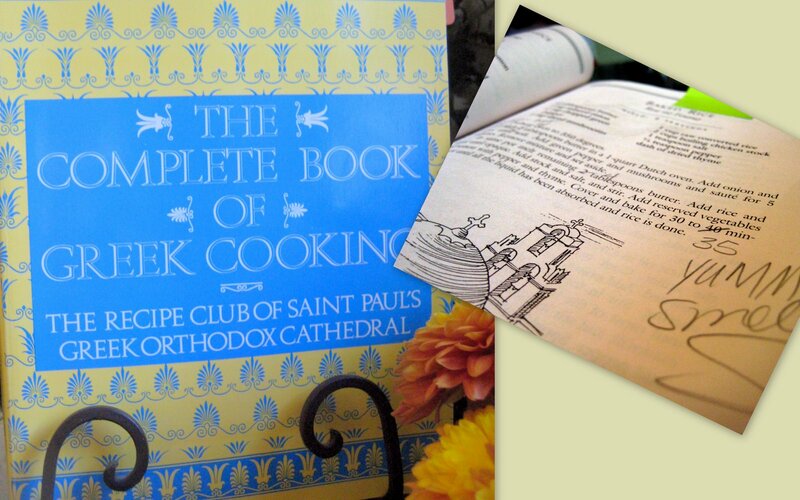 Check out the original Recipe Club from Saint Paul's Cathedral. I love their perfect posture and criss-crossed ankles. Ahh - classier times gone by. These real-life recipes are mouth-wateringly yummy. Rize sto Fuorno (baked rice) ~ I'll be posting this someday soon. Soupa Avgolemono (lemon chicken soup) which I haven't made yet but my husband loves this soup at our favorite Greek restaurant. This would make a nice entry in my Sunday Soup Night series. all the tips and tricks to making the most of your everyday recipes. We have made the Baked Ziti with Tomatoes and Mozzarella more times than I can count. Another neat aspect of this cookbook is its inclusion of "Test Kitchen Favorites". From kitchen utensils to food products, they have chosen the best in class and share the findings throughout the cookbook. We are seriously going to have to cook together one day. I love these, especially the Greek cookbook. Yumminess. My brother has a friend whose wife collects cookbooks as well. I don't know how good of a cook she is though. LOL! I need to get the America's Test Kitchen one since I watch that show every weekend. 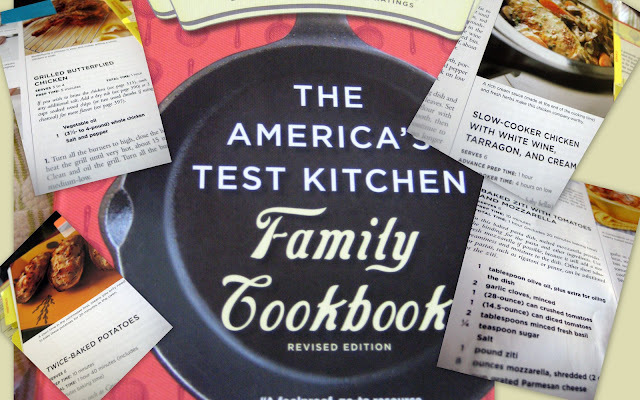 I recognized one cookbook immediately as it's in my kitchen: America's Test Kitchen! That show taught me how to cook and my cookbook is starting to fall apart! My sister has it, too, and we frequently call each other to compare notes on the recipes we've tried. My favorites are their cranberry sauce and stuffing recipes (for Thanksgiving)! And the Test Kitchen Favorites have saved me so much time and money. I'll have to check out that Mad Hungry cookbook. I only have one son, but he is ten now and entering that "eating us out of house and home" phase. Always nice to stumble across something familiar on another blog! Misty, can you imagine what it's like to WORK in library - and, I tell you - we are always getting new cookbooks in! It's like being a kid in a candy store, as they say. My M.O. is to take one home and if I can find one recipe which is a keeper, that's good enough for me - otherwise I'd never get past the first cookbook! Your 31 days is an interesting idea. I have a few favorites, the rest of my recipes come from online. But where did you get the cookbook stand? I've been searching for a heavy iron one, but haven't had much luck. 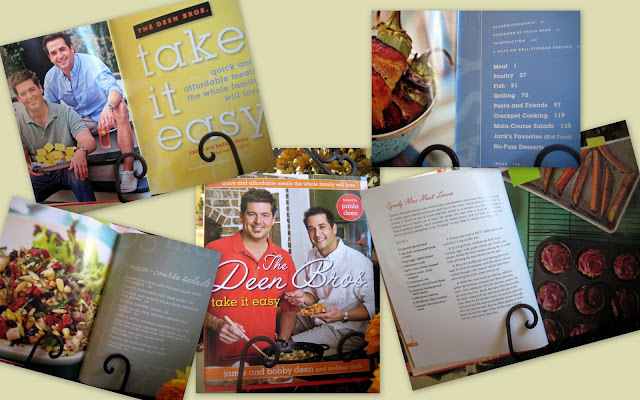 love your taste in cookbooks! I became a big fan of Lucinda's on her show by the same naeme Mad Hungry. I've tried several- hummus, falafel, Rose's baked artichokes, chicken piccata and this amazing spinach pie that is SO easy and MY KIDS LOVE!